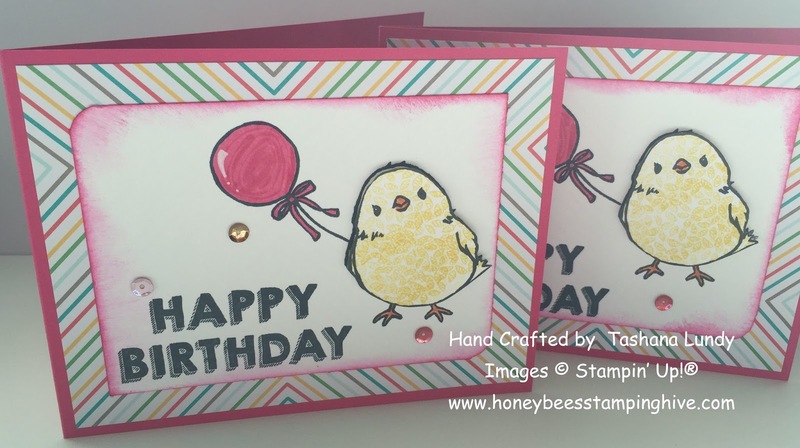 Today I am sharing a card set that I made using the Party Wishes and Honeycomb Happiness stamp sets. I made two of each design. Isn't that chick just the cutest? 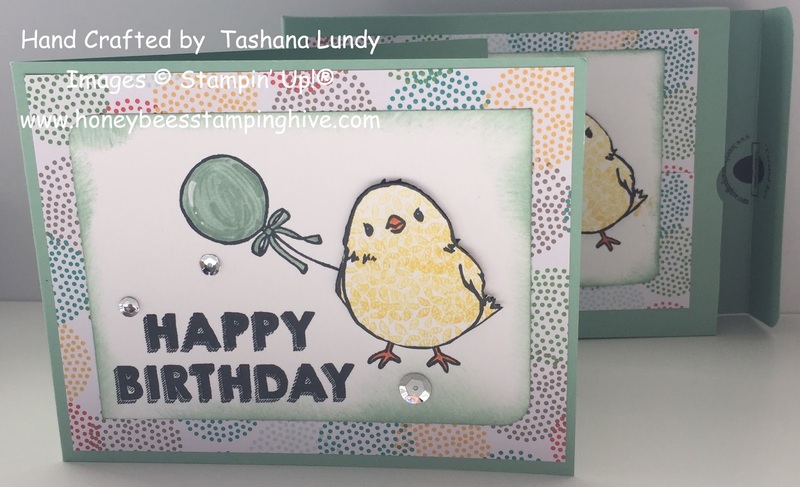 I used the leaves from the Sprinkles of Life stamp set to color in the little chick. I used a variety of sheets from the Cherry on Top DSP Stack for one of my layers. The sequins comes from the Perpetual Birthday Calendar Project Kit. I stamped envelopes to match and made a box for everything to go in. A perfect gift.